Residential solar system. Author: mjmonty. License: Creative Commons, Attribution 2.0 Generic. 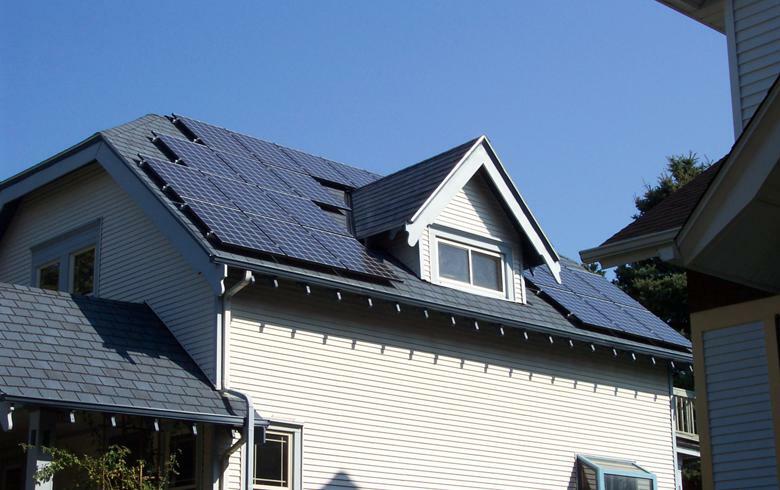 April 10 (Renewables Now) - The Connecticut Green Bank announced on Tuesday a first-of-a-kind issuance through which it monetises USD 38.6 million (EUR 34.2m) worth of solar home renewable energy credits (SHRECs). The bank said it is selling investment-grade rated ABS notes involving SHRECs generated through the Residential Solar Investment Program (RSIP) by about 14,000 residential solar photovoltaic (PV) systems with a combined capacity exceeding 105 MW. The SHRECs were sold in annual tranches to investor-owned utilities Eversource Energy (NYSE:ES) and United Illuminating Company, at a fixed, predetermined price over 15 years. The bank noted that the sale proceeds will recover the costs of administering and managing the RSIP, including the incentives offered to residential participants. “This groundbreaking transaction, the first rated issuance for the Green Bank and the first ever solar ABS transaction by a green bank, demonstrates how governments can leverage public funds to harness the tremendous depth of the capital markets to accelerate investment in clean renewable energy,” commented Bert Hunter, executive vice president of the Connecticut Green Bank. RBC Capital Markets served as the sole book runner in the transaction.